i recently commented on a post by Milenomics (who, by the way, is perhaps the best voice of reason when it comes to the miles and points game — well worth your time to follow) about saving money on your travels, and i realized that my blog post on this topic is over two years old and way overdue for a revisit. much of what i said in 2011 still holds true, but i’ve really ramped up my travel since then which not only means more experience but also a greater demand for frugality (since i don’t, you know, have a money tree). while this is not an option for everyone, i’ve found that it’s saved me the most money and allowed me to really get out there. put simply, i let the price dictate the destination. 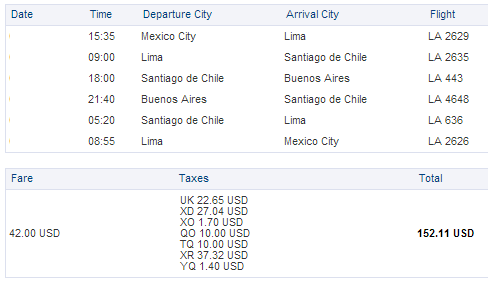 thanks to the folks at The Flight Deal, i’m alerted to fare sales and mistakes, meaning, say, i was able to fly to South America this year for around $400, about the same to Russia, and next year i’m taking advantage of a mistake fare from Mexico City to Buenos Aires for about $150. if you’re using award miles, be sure to be flexible with your dates and maybe even your destination so you can redeem for the lowest level. this is when it helps to plan early — check for seats as soon as the booking window opens and keep checking if you don’t see anything. Gary Leff has thoughts on this. in the same vein, award redemptions are great for aspirational travel — getting to go places and on certain flights that would be expensive or otherwise not easy to obtain, like when i did two Hello Kitty flights back-to-back in business class. this is probably my main reason for sticking with an airline/alliance and wanting elite status (so those miles rack up faster, especially since i don’t do the points game). while there are times when i stay in a hotel (e.g., it’s convenient for an airport overnight, or i need a visa support letter [Russia]), for the most part, i’m a devoted Airbnb user. it’s usually cheaper than a hotel and you get much more for your travel dollar. much more space, free internet, washing machines, a kitchen, and way more local color than you’ll find at a hotel have made me a fan. The main living space of my Airbnb in Singapore. There was a large bedroom with a king-size bed and ginormous bathroom beyond the wall. You definitely couldn’t get this at a hotel for how much I paid. 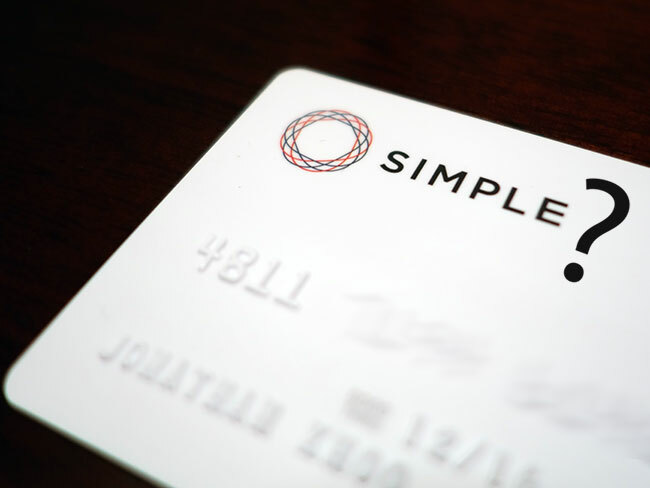 you may also get some local perks such as a refillable subway card (so you don’t have to deal with the deposit) or a bikeshare membership card to use during your stay. 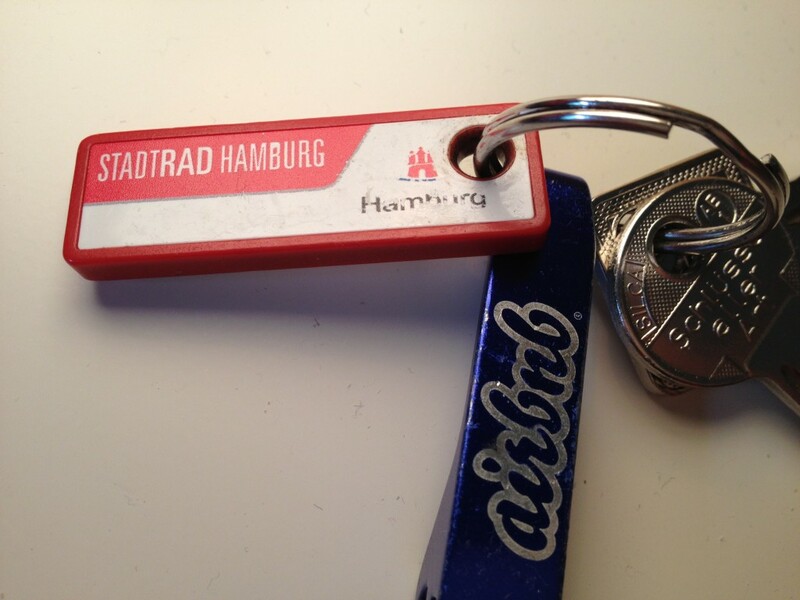 BIkeshare use via my Airbnb host in Hamburg. yep, i’m a social media addict and i need to be connected to work email as well. so i forget roaming plans with their crazy overage charges and use my phone with a local SIM card. note this really only applies if you have an unlocked GSM phone, or a CDMA (aka Verizon or Sprint) phone with GSM capabilities. something to note is that all Verizon iPhones are unlocked by default so you can use any SIM card in them. use this wiki to determine local SIM options, including prices and purchase locations. i can’t stress this enough. you need to know what to expect at your destination for two reasons: planning and being street smart. yes, some may see all this rummaging around for information as being tedious, but imho it’s also a great way to get excited about your trip! some questions i always ask and answer before leaving: what’s the best way to get around town? is it public transportation? walking? cab? bikeshare? if by public transportation (my favorite, by the way, since you’re then integrated into the fabric of your destination), are there multi-day or even a weeklong pass that might save you some money? 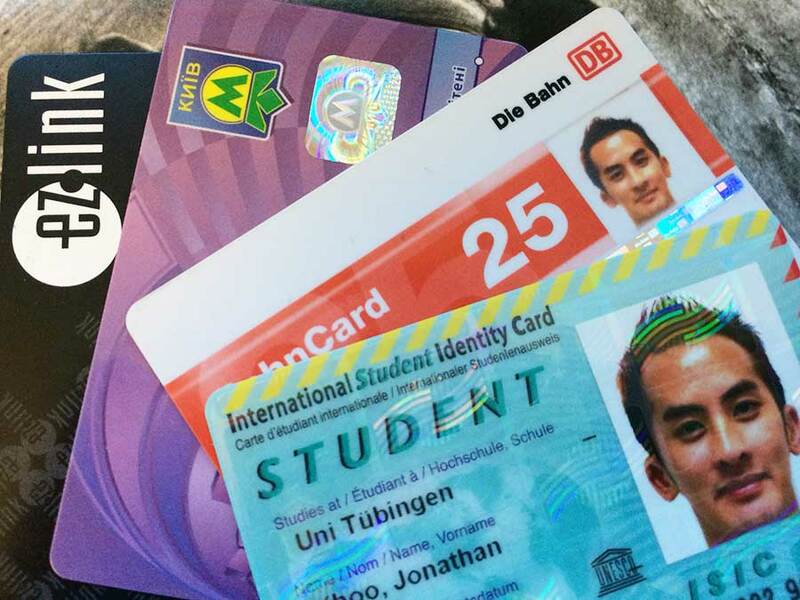 where can you buy these passes? some transit systems offer discounts if you use a reloadable card versus paying fares individually. if by cab, how much should a trip, say, from the airport to the city center cost? for these, i usually rely on Wikitravel and the “Get Around” section for each destination city, like this one for Yangon. you can then budget a bit better and you’ll be an informed traveler who is less likely to be taken advantage of. if you’re traveling by rail and can commit to a certain train at a certain date and time, there are often discounts for buying tickets in advance directly from the rail company, like Deutsche Bahn’s Sparpreis or Taiwan High Speed Rail’s Early Bird tickets. yes, sometimes it literally does pay to investigate your options! especially if you don’t have access to a kitchen (ahem, AirBnB! ), don’t just hop in the first restaurant you see (or, yikes, one of those with the people in front trying to call you in for a meal). the best way i have found to eat well and on a budget is by using review sites like Foursquare (my favorite) or Yelp (if available for your destination) or even TripAdvisor. you can filter by how much you want to spend and proximity to you or your plan for the day. of course, it’s easiest if you have a working smartphone (ahem, local SIM!) so you can check while on the go, but otherwise at least look into options before you leave or when you’re planning the next day’s travel. my favorite? cafeteria-style places in Eastern Europe. you can get more than your fill for not so much money, and you know i’m not beyond eating local fast food! look for ways to get around surcharges, such as a no-international-fee credit cards and ways to withdraw from ATMs without a fee. 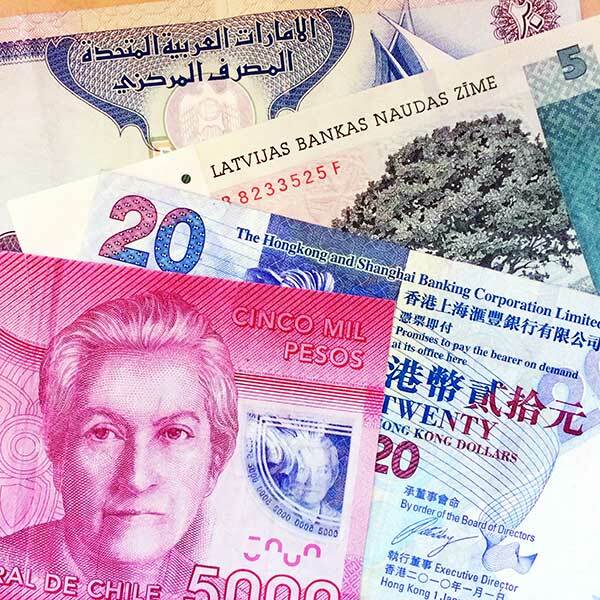 these include checking accounts that don’t have ATM usage fees (Milenomics recommends the Charles Schwab Checking Account) and knowing your ATM options abroad. for instance, when i banked with Bank of America years ago, i discovered the Global ATM Alliance which offers no-fee withdrawals at certain member banks. and, as many people have stated, do NOT use the US Dollar currency option given by certain retailers, especially if you have a fee-free card. it’s pretty much never to your advantage to be billed in dollars when abroad. Too Little, Too Late — When Does Change Stop Being Good? 6 Comments on "Money Money Money, It’s Not a Rich Man’s World"
If you like budget lodging, then do you use hostels, Couch Surfing, internet cafes, and camping? It’s very refreshing to see a blogger who doesn’t have to stay in the nicest hotel in a city all the time. Anyway, great advice when it comes to food, transportation, activities, and avoiding high roaming fees. thanks brandon! yeah, i’m not really big into fancy hotels and stuff, since honestly, i just need a place to sleep. most of the time when i travel i have to work (=what i call workation), so i usually stick to airbnbs where i have the entire place to myself (hence no couch surfing) and can turn a room or at least a section of a room into an office. when i don’t have to work, though, i’m all about hostels. i stayed in some over thanksgiving in Myanmar and also when i was on vacation in Mongolia in May, and will in a couple months during some overnight layovers to South America instead of pricey airport hotels. great way to save money and meet people at the same time. Great post–I read the 2yo one and this is a good compliment/update to it. You’ve got great tips–I’ll just add a small one about food. The question, “What’s a good restaurant?” Usually translates into, “where do tourists like to eat?” And that can be a great place, but it is probably expensive. Instead try, “where do *you* like to eat?” when asking anyone from a local to the concierge at a hotel–the result almost always is a fantastic restaurant that doesn’t break your budget. Oh I love that suggestion! There is (was?) this blog series out there that profiled where cab drivers liked to eat and it turned out to be invaluable on my last trip to Buenos Aires! Interesting read! Now I’m curious why you don’t do the credit cards/points thing. It’s a lot of free travel. Hi Ed! Hm. I’ve asked myself the same question several times over the past year (= about how long I’ve known about the points game) and I don’t know if I have a better answer other than “I’m lazy”? Which I guess isn’t a good one when I think of all the money I could be saving, huh! That said, I did do the 100,000 Amex MR Plat this year but only because I also appreciated the other benefits that came with the card, and next year I will probably start investigating how to make $25k in spend for my MP Explorer card. I’m not entirely closed off to the idea, so we’ll see! Two years ago I had no idea I’d be traveling this much, so a lot can change!